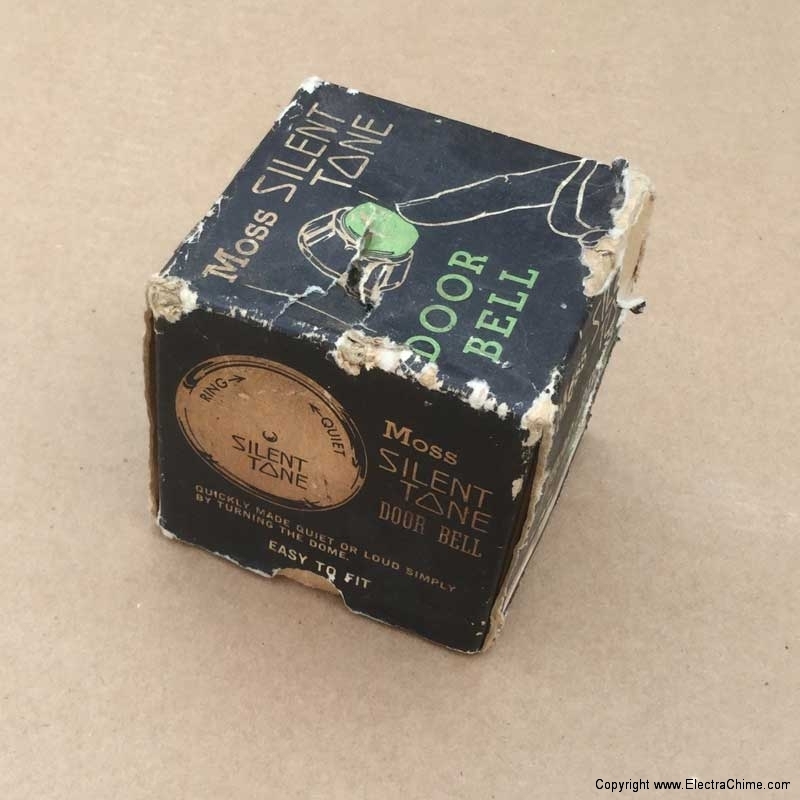 This doorbell isn’t exactly silent. The name actually refers to the ability to silence this mechanical doorbell when you don’t want to be disturbed or avoid “doorbell nerves“. 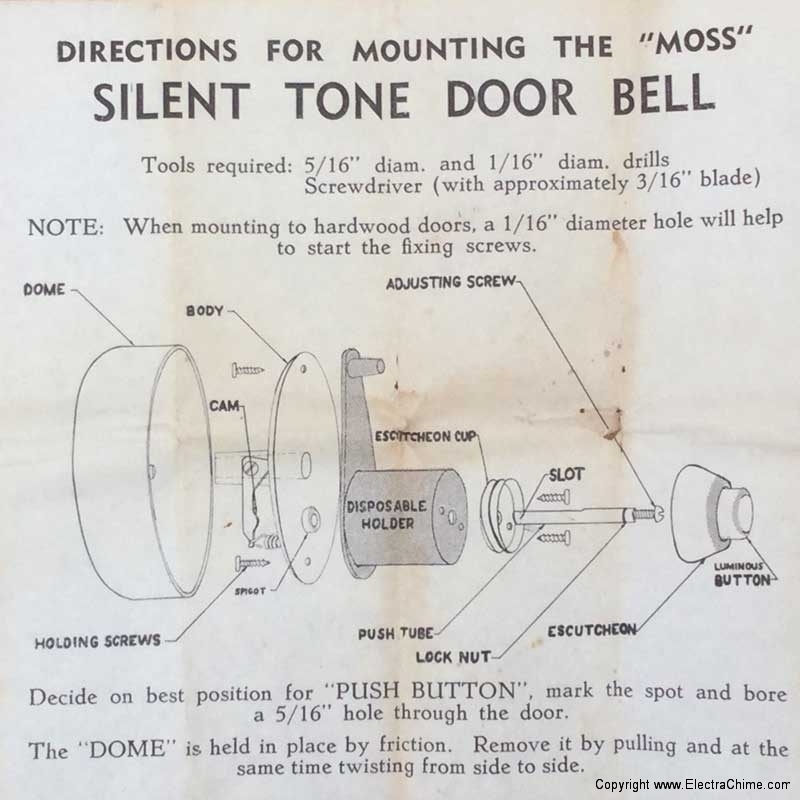 Although mechanical doorbells with a round bell on the inside of the door housing the mechanics are common, most required the caller to twist a knob to sound the bell. The Moss “Silent Tone” transfers the energy from pushing a button. The button is reverse painted with luminous paint to glow in the dark. 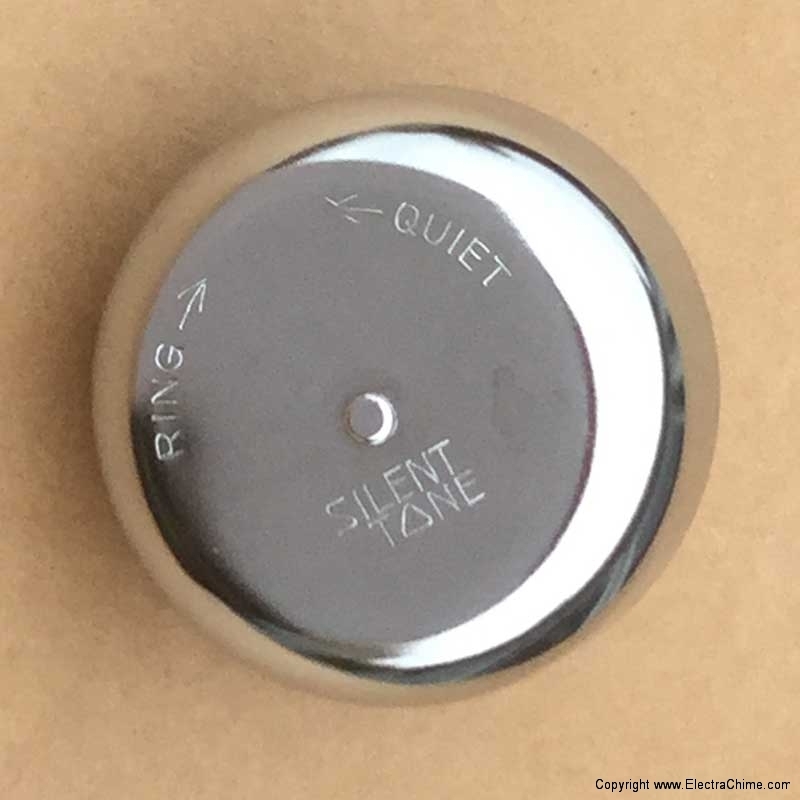 This doorbell’s most unique feature is a facility for the homeowner to silence the bell with a simple quarter turn of the inside bell. This doorbell would have been especially useful for hotel and dormitory rooms or to discourage door-to-door salesmen. Materials Chrome plated steel bell, luminous plastic button.